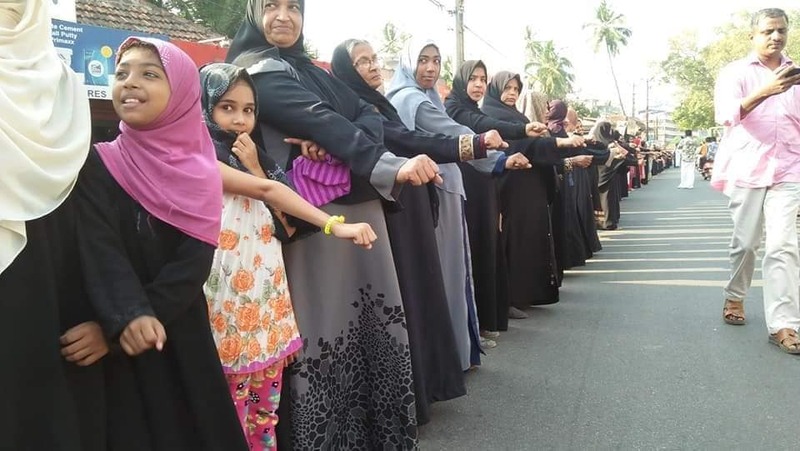 About 3-5 million women formed a wall across Kerala to protect to protect Kerala’s renaissance values and for women empowerment. 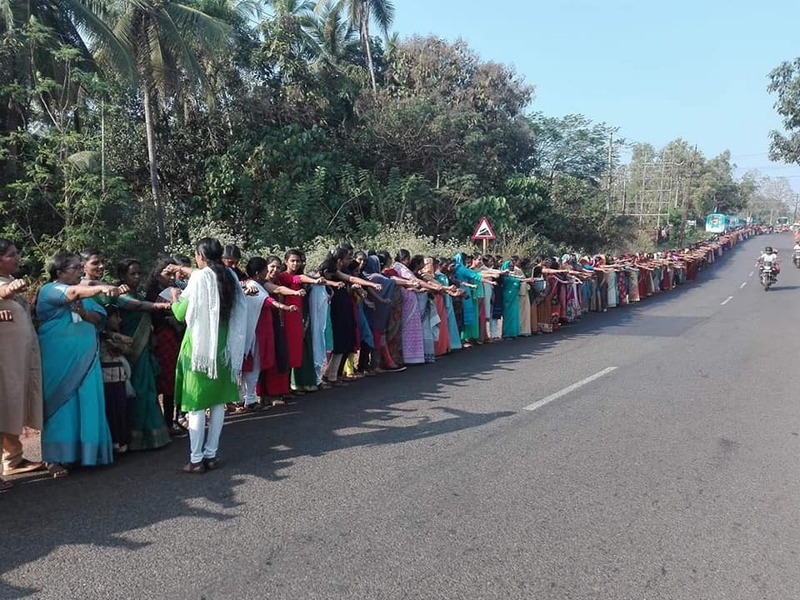 About three million women stood shoulder to shoulder across Kerala and formed 620 KM “wall” from Thiruvananthapuram to the northern district of Kasaragod. 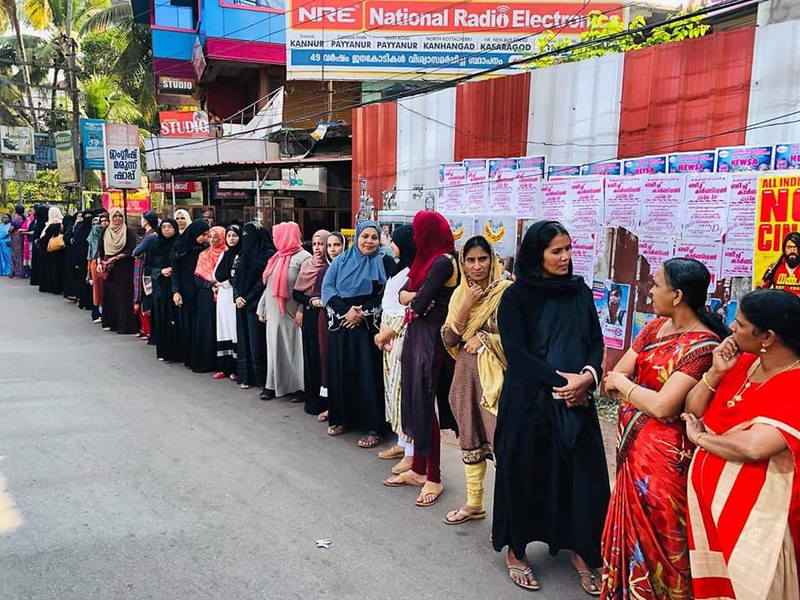 They also pledged to protec the renaissance values of Kerala. 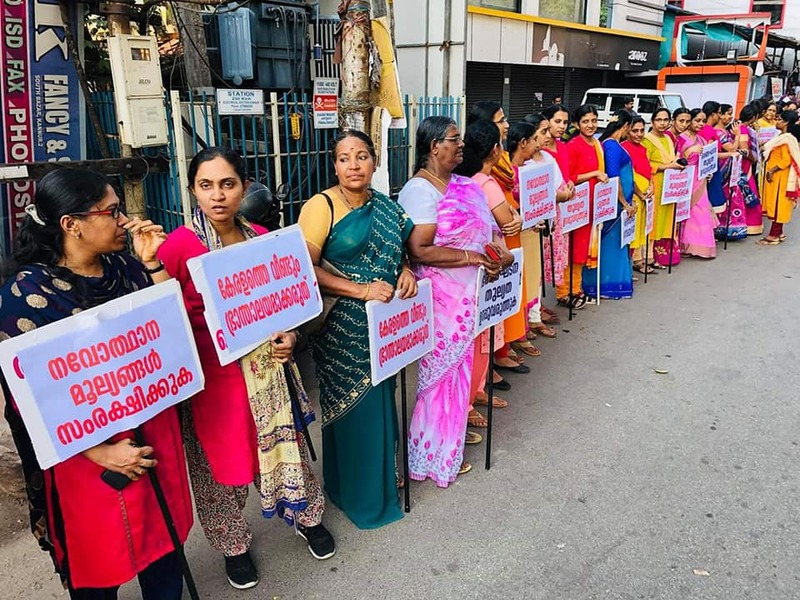 The wall was organised against the backdrop of the Supreme Court verdict on Sabarimala temple entry of menstruating women. 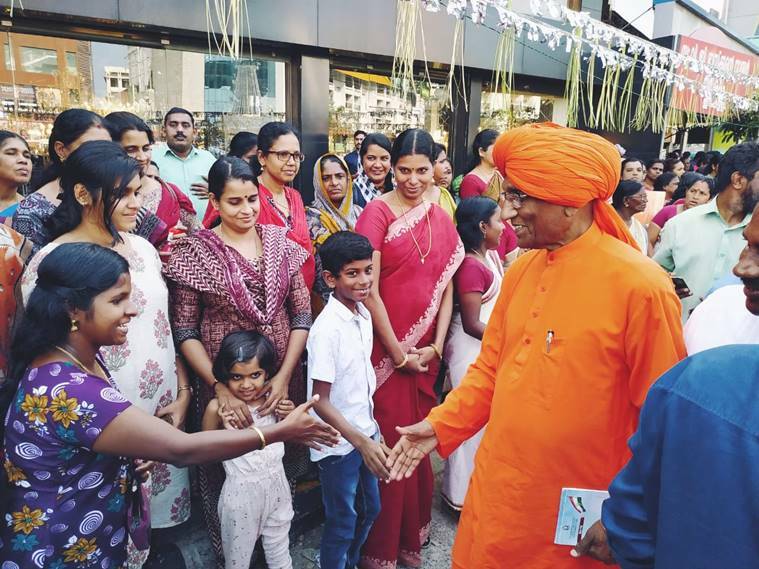 Chief minister Pinarayi Vijayan said the wall was to save Kerala being ‘dragged back into the era of darkness’. The wall saw massive participation cutting across class/caste/religious barriers. 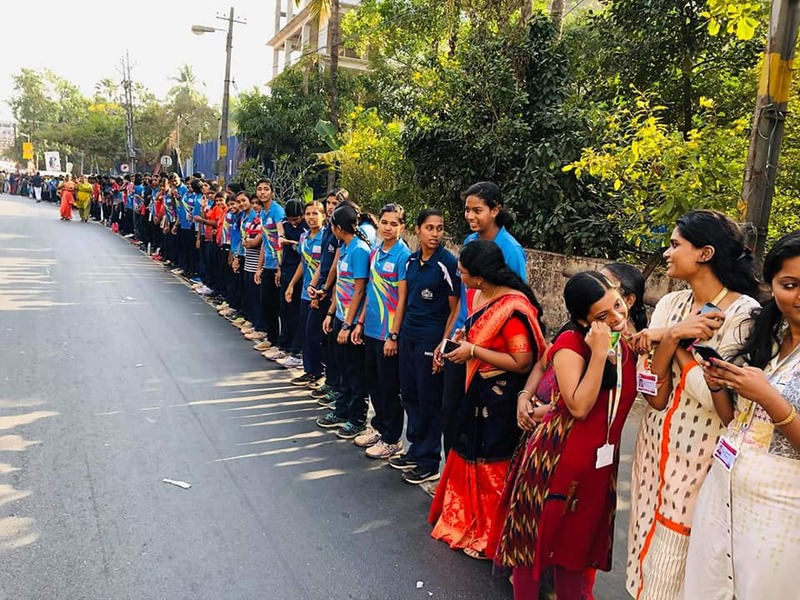 Expressing solidarity, thousands of men also lined up parallel forming a second human ‘wall’. The wall was opposed by BJP and other Hindutva organisations. 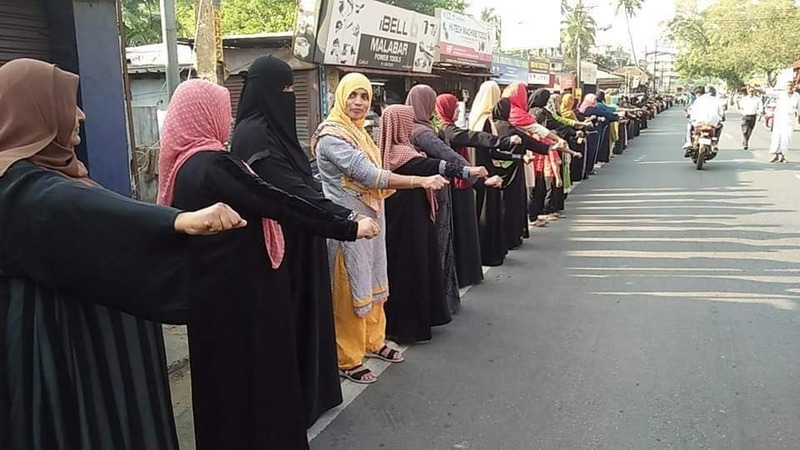 Sukumaran Nair, general secretary of the Nair Service Society (NSS) said the ‘vanitha mathil’ or women’s wall will turn Kerala into ‘Devil’s country’ and that the LDF govt has employed double standards on the issue. 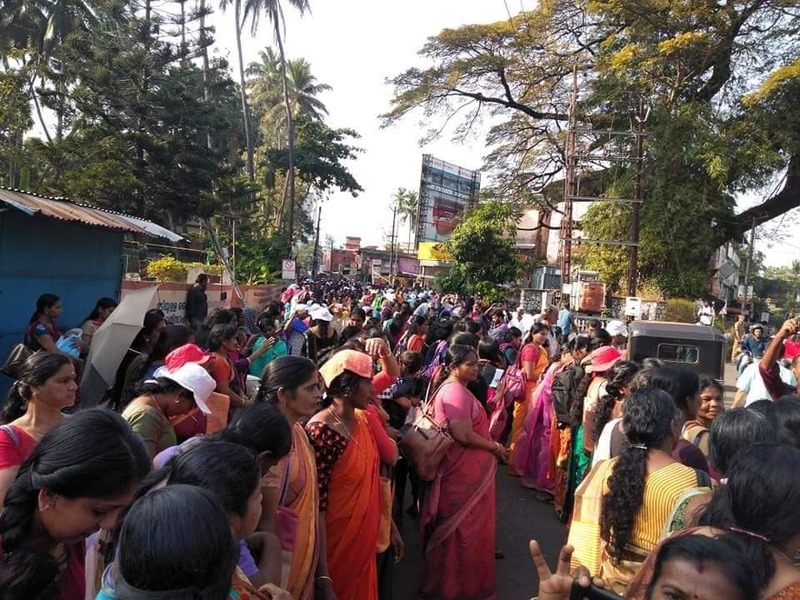 NSS is opposing the Sabarimala temple entry of women devotees tooth and nail. 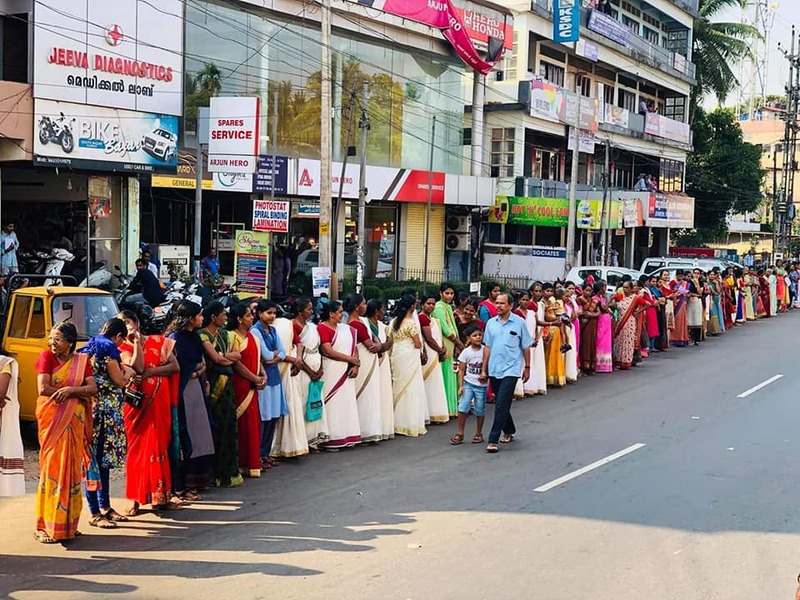 The decision to stage the wall was taken earlier in December in a meeting of various organisations which played a role in historic Kerala renaissance movement, when women’s entry to Sabarimala after the historical Supreme Court verdict was stone walled by right wing Hindutva organisations and the upper caste Hindus of Kerala. 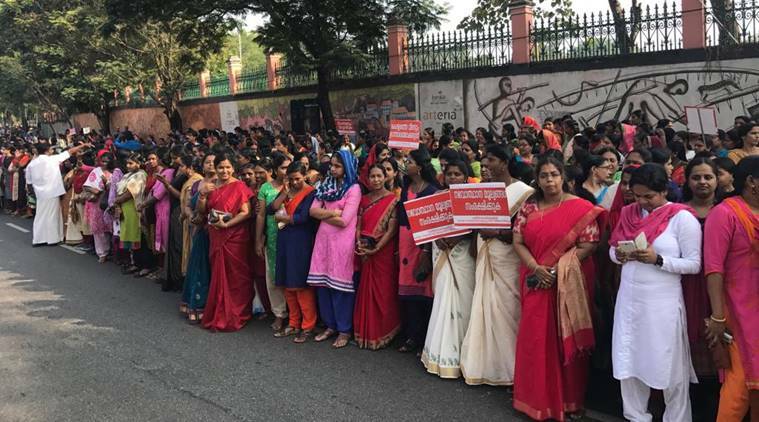 Women who tried to enter the shrine were physically attacked and even journalists covering the issue were attacked.